Description: Only Chaos Queen Beleen could take the all powerful Archfiend and chibify him. At least this one can help carry your stuff. Switches form every few seconds. 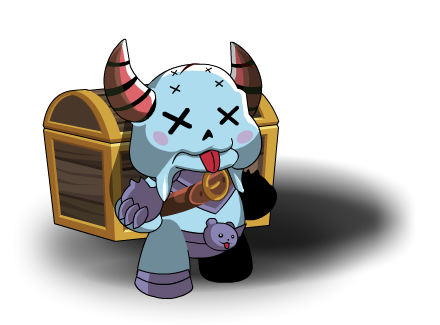 Chibi Nulgath Bank Pet (1). Icy Chibi Nulgath Kitty Helm.